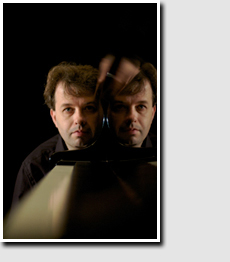 Randolf Stöck studied piano with Prof. Andreas Pistorius at the Mannheim University of Music and Performing Arts and Martin Canin at The Julliard School in New York, as well as conducting with Prof. Klaus Arp and Prof. Georg Grün. He has attended masterclasses with Yvgeni Malinin (Moscow), Elisabeth Leonskaja, Rudolf Buchbinder and Geoffrey Parsons. During his studies Stöck was successful in numerous international competitions. 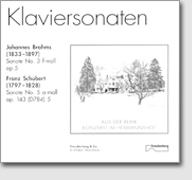 Among others, he won the 1st prize in the 1995 “Internationaler Johannes Brahms Wettbewerb” in Pörtschach, Austria. After obtaining a full scholarship to The Julliard School (New York), Stöck completed his studies there in 1998 with distinction. He has also held scholarships from the Domhof-Stiftung and the Yamaha Music Foundation Europe (YMFE). Performances as both soloist and accompanist have taken him to many European countries, to the United States, and to Asia. He has performed concertos with renowned orchestras, such as the Deutsche Staatsphilharmonie Rheinland�Pfalz, or the Saarländisches Staatsorchester. Regular broadcast performances connect him with the Saarland (SR), the Southwest German (SWR) and the West German Radio (WDR) stations.